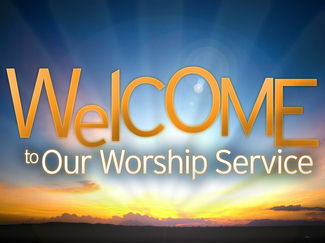 Welcome to the Great Outdoors Community Church website. We are a unique church in a unique setting. 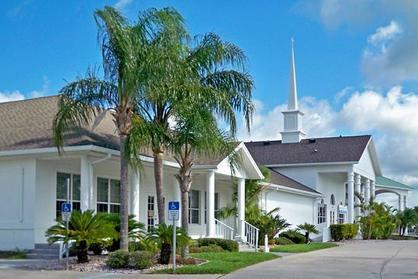 Our church is located in the heart of the Great Outdoors RV and Golf Resort in Titusville, Florida. Several hundred people attend the church both from the resort and the neighboring communities. Some are here full-time, while others are here on a seasonal basis. As our name indicates, we are truly a community church -- a church for everyone. Our church family is made up of people from every major Christian denomination. We welcome everyone to become part of our community regardless of their church background – or no church background. Because most of us have come from other parts of the country we are always quick to embrace others. When you walk through the door you will find a friendly group that is excited about being together and meeting new people. The Great Outdoors Community Church is a busy place! Beyond our worship services, throughout the year we have a number of ways for you to get connected to other believers. We have home Bible study groups, men’s and women’s fellowship groups, support groups, serving groups, and Christian music concerts. Throughout the pages of our website you can find more information about our ministries and events. If you are looking for a church in the Titusville area, we would love to have you join us for one of our worship services and a time of refreshments afterwards. Our Summer/Fall worship time is at 9:30 a.m. From January through Easter Sunday we have two morning worship services at 8:30 a.m. and 10:15 a.m.
Feel free to contact us for any additional information about our church or our activities. "For it is by grace you have been saved, through faith…It is the gift of God"
will be available following the service!